Flurries of snow and a prolonged cold snap forecast – it's definitely slow cooker weather. 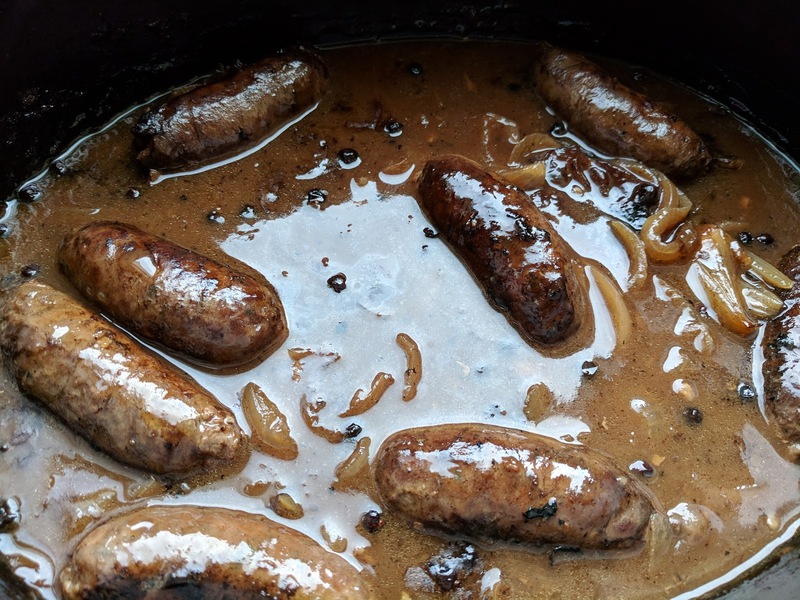 Venison meat can be quite expensive but sausages are an affordable way of eating game in the autumn and winter months. I've added all the classic favours that work well with venison – juniper berries, red wine and redcurrant jelly. A little bit f preparation and you'll have a rich and warming meal ready for dinner time later. 1. Pre-heat the oven to HIGH. 2. Heat the oil in the frying pan and brown the sausages all over. Remove from the pan with a slotted spoon and put into the slow cooker. 3. In the remaining oil fry the garlic and onion until the onion has softened. 4. Add the flour and cook for a minute before adding the juniper berries, wine, stock and jelly. 5. Add seasoning to taste and then bring to the boil. Transfer to the slow cooker. 6. Cook on HIGH for 4-6 hours or LOW for 6-8 hours. I assume the juniper berries are crushed and added with the wine etc? Yes, I add the juniper berries with the wine. I don't usually crush them but you can if you want to.